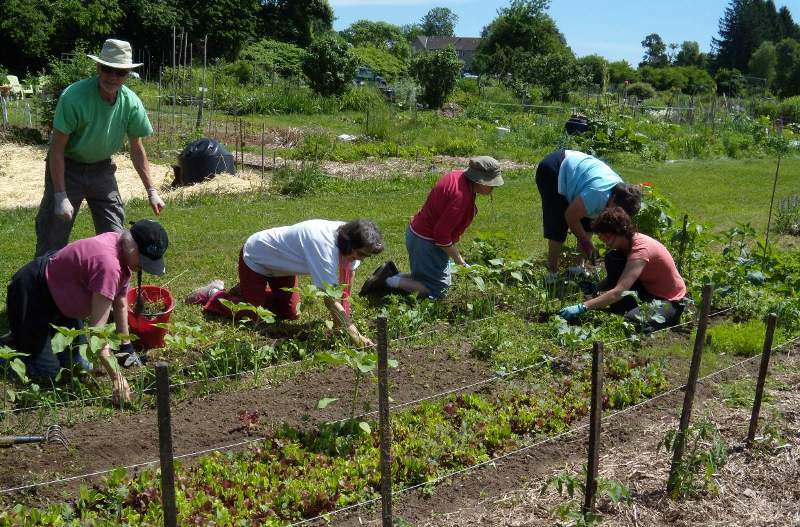 Creating Your Own Eden is the name of this year’s fact and delight loaded Western Massachusetts Master Gardener Spring Symposium on Saturday, March 21 at Frontier Regional High School in South Deerfield. I can imagine a garden Eden where all the trees welcome insects to take a modest banquet from their leaves, where birds eat some of those insects, where weeds and flowers grow to provide food for caterpillars, some of which also get eaten, and where butterflies tour different flowers to gorge on nectar. Eden is a beautiful and sustainable garden. Some of us already are sensitive to the dangers of pesticides and herbicides in our garden. Some of us are trying to do away with our lawns in order to add plants that support the insects, birds and butterflies that add so much beauty to the Eden that we all try to make of our garden. And yet, it can be so confusing. There is so much information. How will we take in all that information so we can use it? The annual Master Gardener Spring Symposium is the perfect place to get information and have questions answered. Keynote speaker Kim Eierman is not only a Master Gardener herself, she is a Master Naturalist, and operates EcoBeneficial, her consulting firm that supports the use of native plants and the creation of sustainable landscapes. I will be prepared to take notes when she speaks about EcoBeneficial Gardening: Going Beyond Sustainability, but I have already looked at her website,EcoBeneficial and found information that is clear and specific. For example, most of us do not have a large plot of land so while it is good to know that native oaks support over 500 types of insects and birds, we may not have the space for an oak tree. The next best tree is the black cherry, Prunus serotina, which offers nectar and pollen to native pollinators and honey bees. The small red or black fruits are a favorite food of more than 40 species of birds and many mammals. It also serves as a host plant for over 450 species of moths and butterflies. In addition to Eierman’s Keynote speech, an array of workshops is being offered. Morning sessions range from how to sharpen tools, to native shrubs for the garden, how to make a rustic twig trellis and more. In the afternoon Eierman will speak again, this time about Replacing the GreenDesert; – Native Turf Alternatives. 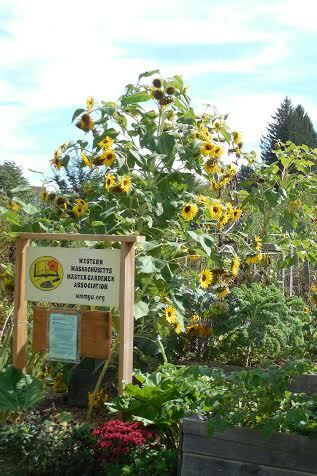 Other afternoon sessions include how to make nutrient dense soil, attract pollinators and make lacto-fermented vegetables. I will be giving an illustrated talk about sustainable roses in the afternoon. I have been growing pesticide and herbicide free roses on my Heath hill for over 30 years. When visitors come to the Annual Rose Viewing in June many of them ask how I grow roses with such clean foliage, and what they should do about the various problems their roses suffer. I am really no help at all in this area, because by chance, and sometimes by design, my roses don’t have disease problems. The fate of the sustainable rose is not in our hands, it is in the genes of the particular rose. I am happy to pass on the news that a new book, Roses Without Chemicals, by Peter Kukielski is now available. I met Kukielski when he was curator of the Peggy Rockefeller Rose Garden at the New YorkBotanical Garden, but he is now a part of the American Rose Trials for Sustainability. He is the king of sustainable roses. A keynote speaker and workshops are not enough to prepare for spring. Vendors and book sellers will be on hand. My book, The Roses at the End of the Road, will be on sale for the event as well. Registration forms are online and can be downloaded, then mailed in. The form lists all the workshop sessions so you can take your pick. The earlier you mail in your form, the better chance you have of getting your preferred programs. You can also order lunch if you wish. Questions? Email gardensymposium123@gmail.com and Lucy Alman will have the answers. Wonderful article and the spring symposium sounds so interesting. Thats amazing about your roses and no chemicals with such beautiful foliage! I might have to look into the annual viewing. The black cherry you mentioned, are they a messy tree when they drop the fruit? Thanks for all the great info. Matt – I am glad if you found the information about disease resistant roses helpful. Keep watching on my blog – or on my column in the Saturday Recorder – for news about this year’s Annual Rose Viewing. Mine is not a grand garden, but it is a pretty country garden for a summer party. The cookies are really good. Don’t forget to read Roses Without Chemicals for more info. The black cherry trees are considered ‘weed’ trees. Here is a site with lots of info. http://www.na.fs.fed.us/pubs/silvics_manual/volume_2/prunus/serotina.htm I don’t think messy fruit drop is an issue at all.